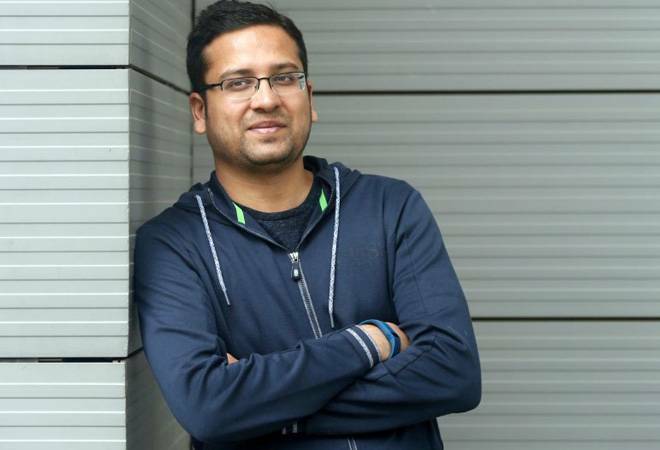 Less than a month after Binny Bansal's sudden exit from Flipkart under a cloud, the ecommerce firm's co-founder is ready for his second innings. He has joined hands with former McKinsey consultant Saikiran Krishnamurthy to launch a venture called xto10x Technologies that will offer technology tools, mentorship and consulting services on a self-serve model to Series B and C startups looking to scale up, The Economic Times reported. Krishnamurthy, previously headed Flipkart's logistics arm E-kart. The tech company, funded by the duo, is still at the concept stage but it is reportedly looking to hire a team by January 2019 as it tests out its product with a clutch of startups. "The idea is to disrupt traditional consulting firms with tech-backed solutions and tools that do not require hundreds of partners," a source close to the development told the daily, explaining that the venture wants to create a new-age consulting model for startups, a "mix of SAP, Coursera and McKinsey". "They aim to help transform product-market fit and initial business momentum into at-scale, well-rounded companies, a problem being faced by many in the Indian ecosystem. This, they have realised, cannot be solved by capital alone," the source added. The Bengaluru-based venture in its current form will have three types of offerings: A product suite across strategy and data science to execution; a learning platform with curated courseware, events and reference cases; and consulting and mentoring to help founders. The daily added that Bansal - who holds a position on Flipkart's board with almost 5% stake - will be the executive chairman while Krishnamurthy, known as Saiki among colleagues and friends, is likely to be the CEO. After quitting Flipkart in 2017, the latter had headed back to McKinsey as a part-time adviser, and was subsequently roped in by Ola to spearhead its marketplace business. Krishnamurthy quit Ola in September and has been working on xto10x for the past few months. The buzz in the startup ecosystem is that the new venture taps a long-felt demand. "Sometimes, due to the pressures and realities of running a startup, you often realise problems after the error has been committed," Rohit Ramasubramanian, CEO of GoZefo, an online marketplace for pre-owned furniture and appliances, told the daily. "There are some avenues to seek guidance today, but nothing where a mentor or an experienced founder can play an active real-time role in the tactical execution of the problems faced by a startup - essentially a way to pre-empt these issues."